A blog about pens, paper, and ink from around the world! 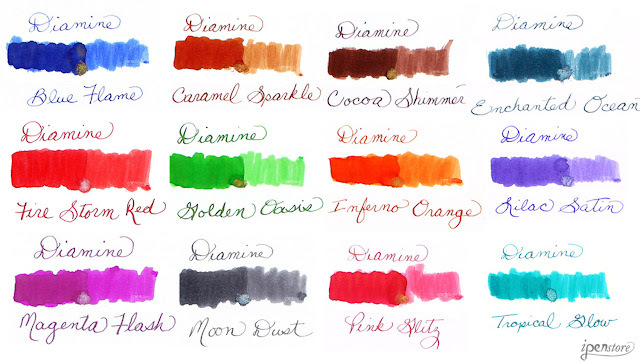 Diamine announced 12 new Shimmer ink colors for 2016. Each color is rated with the Pantone color code. The new colors have glitter particles (either silver or gold colored) that will glitter in sunlight or bright indoor light. These inks were tested by Diamine for several years before released to the marketplace. The Diamine Shimmer inks will give smooth, consistent ink feed. They are not waterproof, but that makes it easy to clean your pen when you're done with a Shimmer ink color. 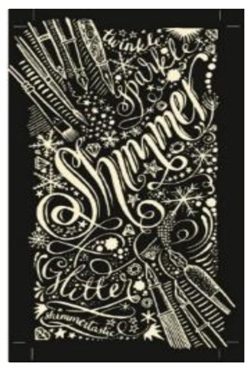 Like other glitter style inks, you do have to shake the bottle (or filled pen) regularly to produce an even glitter effect. 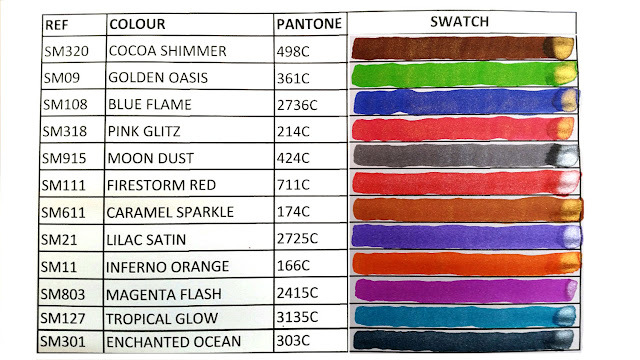 The swatches shown above are from the Diamine 2016 announcement. As soon as we get the first bottles, we'll add our own actual ink samples. The expected arrival date is mid November, 2016. 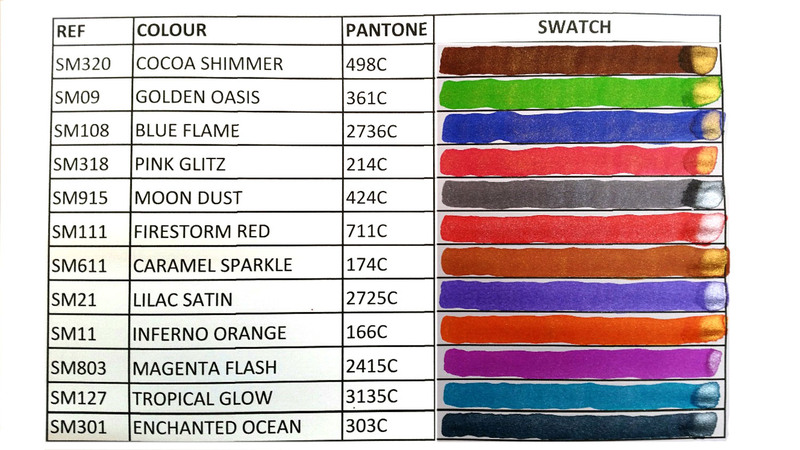 Want to see the actual Pantone color of the new Diamine Shimmer inks? Click here to see the Pantone color finder. Just enter the Pantone Color code from the ink swatch chart above (i.e. 166C for Inferno Orange) and you'll see the exact color match.